For many years ORTLIEB has been a member in various associations and networks and is highly involved in the outdoor and bicycle industry. The European Outdoor Group is a trans-national representation of the European outdoor industry. ORTLIEB has been a member since 2005. ORTLIEB has been a member of the „European Outdoor Conservation Association“ since 2007, a nonprofit organization financing worldwide projects of environmental and nature protection. Members include companies of the outdoor industry. DThe Federal Association of the German Sports Products Industry registered association is the company association of German manufacturers, importers and distributors of sport articles. ORTLIEB has been a member since 1995. FGO is a representation of interest of the outdoor industry within the federal association of the German Sports Products Industry (Bundesverbandes der Deutschen Sportartikel-Industrie e. V.). Its members are well-known manufacturers and importers of outdoor equipment. ORTLIEB has been a member since 1995. DAV Summit Club GmbH is Germany’s mountaineering school belonging to the German Mountaineering Club (Deutsche Alpenverein) and a specialized travel agent for active mountain and cultural tours all over the world. ORTLIEB has been the official supplier of equipment for the DAV Summit Club bike guides since 2013. 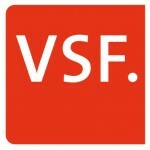 VSF is an independent association of the bicycle industry. Its members include specialist bicycle retail stores, manufacturers, service providers and also non-material projects. The organization is involved in education and further education, develops concepts for improved products and lobbies on behalf of cycling. ORTLIEB has been a member since 2013. The trademark association (Markenverband) represents the interests of brand-orientated economy in Germany. The association has nearly 400 members, in particular of the food and beverage sector, fashion, textiles and services. ORTLIEB has been a member since 2010.